A combination of affordable asking prices and low entry barriers have led to continued interest in restaurant acquisitions. But, it’s important to bear in mind that there is quite a large difference between purchasing a restaurant and buying a restaurant that includes all of the crucial components for sustained growth and profitability. If you’re considering investing in your own restaurant, get prepared by entering the market with the right questions to ensure that you don’t make a bad investment. According to statistics, restaurants are some of the most affordable opportunities when it comes to the business-for-sale marketplace. For example, the median asking price of a small independent restaurant is under $200,000, compared to almost $800,000 for a manufacturing business. However, it’s important to be aware that affordability doesn’t always mean reduced risk; in fact, businesses have a notoriously high rate of failure, so it’s important to ask the correct questions before you invest. #2. Does the Lease Transfer? Restaurant success and failure is based on traffic, and traffic is often largely dependent on location. Keep in mind that many landlords are often hesitant to assign a lease to a new restaurant, particularly if the owner lacks business or restaurant experience. So, make sure that you are able to secure a new lease, or extend the lease agreement to yourself before you commit. This will ensure that you are able to retain the restaurant’s existing customer base. #3. What is the Restaurant’s Reputation? Just because a restaurant is cheap to invest in doesn’t mean that you should always invest in it. Take the time to do extensive market research and find out what the restaurant’s current reputation is within the community. Often, purchasing a restaurant that has a poor reputation amongst past customers means an extremely large amount of repair work will be needed in order for it to become profitable. #4. Is the Liquor License Transferable? Food quality may bring people through the door and get good reviews, but for many restaurants, alcohol is the most profitable item on the menu. Before you go ahead with the purchase of a restaurant, it’s a wise idea to confirm that the restaurant’s liquor license is included, and transferrable to you in the sale. #5. What is the Physical Condition? 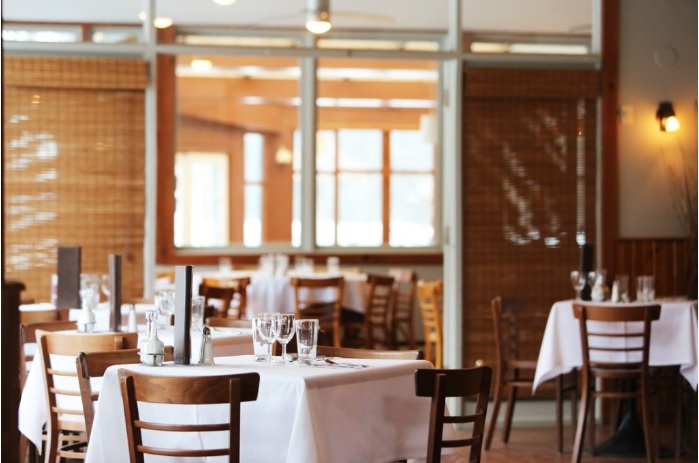 Finally, it’s a wise idea to look over the restaurant to scope out the physical condition overall, not just including the kitchen and equipment, but also the dining areas, customer chairs and tables, fittings and fixtures. A restaurant that is run-down and has not been updated in a while will always be cheaper to buy but bear in mind that you will likely be faced with a lot of work upgrading and improving the setting to the modern, chic and comfortable restaurant that you want to run. On the flip side, taking on an old and tired restaurant allows you to gain popularity with a drastic rebrand. Check out more restaurant branding design tips here. Buying a restaurant could be cheaper than investing in any other kind of business but that doesn’t always make it risk-free. Make sure that you ask these important questions before you become a new restaurant owner.